If this summer is too hot and humid for you, it’s time to for you to freshen your summer playlist. Sistar’s “Touch My Body” and Girls’ Generation’s “Party” may be longtime favorite K-pop summer songs, but let’s go back several years to when K-pop sounded refreshing and remained faithful to its classic seasonal tunes. Here are the five best throwbacks that may evoke nostalgia. 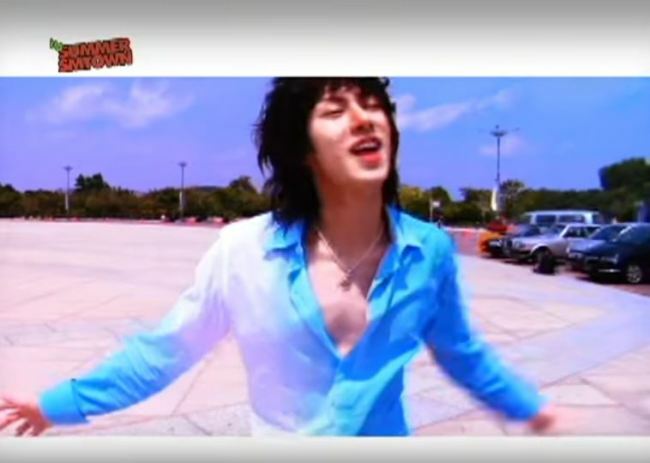 The song’s sky blue-hued music video features youthful Super Junior members in their late teens and early 20s dancing against the backdrop of tropical Malaysia, so don’t miss out the fun of checking out the baby faces of the now 30-somethings. This coming-of-age song is one of BoA’s biggest hits, which will immediately take you back to a cliff where the singer sang and danced in the song’s music video. The anthem is definitely old school, devoid of heavy synths and full of the singer’s breathy vocals. But it never gets lackluster. Watch young BoA dance atop a building while wearing goggles and a long pony tail, jump off a cliff and transform into white pigeons; Good bye stress, hello summer vacation. Few know about this song, but it’s a total gem. S.M. Entertainment has always done a good job in amassing its artists for a grand project, and this 2004 song is one of them, featuring then-S.M. artists like TVXQ, BoA, Fly To The Sky, Kangta and Moon Hee-jun. It’s fun listening to how the artists share the lyrics and make harmony in the family song. As the song is themed on “vacation,” its music video also features the musicians having fun at a pool, splashing each other with water and riding dolphin-shaped tubes. A classic summer tune. The K-pop scene has been churning out tropical-inspired songs these days, but nothing can top this one. Led by tropical guitar sound, the song will give you the feeling of drinking a glass of cold pineapple juice at a beach, or relaxing in a hammock on a sunny, breezy day. If you are planning a sun-filled vacation at an ocean, don’t forget to download this song. Many of you will recognize this song from Plan A Entertainment artists’ special summer song, featuring Apink, Victon and Huh Gak, but it’s originally from Brown Eyed Girls. The original version features Lee Jae-hoon of co-ed trio Cool as a male vocalist. It may be quite difficult to imagine the four-piece girl group, best known for its girl power and charismatic image, lending their voices to this upbeat, relaxing song. As soon as you listen to the verse “You are my ocean, you are my wave,” however, your heart will melt.